"The movies are all fine and good, but what about the source material? It's time to celebrate a unique art form based on its own merits and go Back To The Comics. 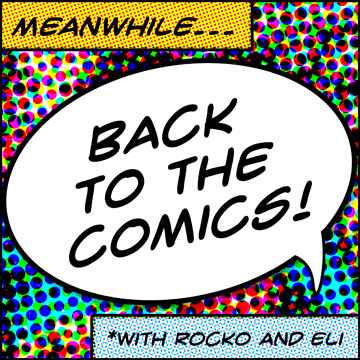 Rocko and Eli are here to discuss just why and how much they matter". As a collector of pop culture collectibles, there's a good chance this is right up your alley! You can listen to it at the Back To The Comics website, subscribe on iTunes or Stitcher radio, and we're working on other ways to get it into your ears. We have the first "season" of six episodes roughly planned out. We hope you'll like it. Stay in touch at the website, facebook.com/BackToTheComics, twitter.com/Back2TheComics, or all of the above. P.S. I'm still an Action Figure Bluesman, if anyone asks.